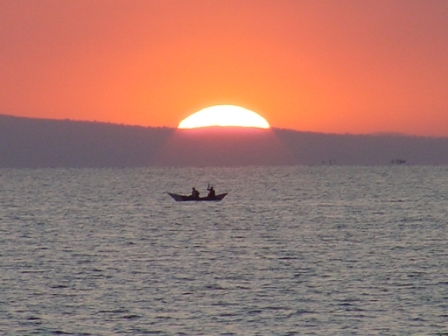 The organization is based in the fishing village of Mbita, on the shores of Lake Victoria. The players come from all over the district, including Mfangano Island, Rusinga Island, Luanda, Lambwe and Mbita town. The region along the banks of Lake Victoria which borders Kenya, Uganda, and Tanzania is one of the most beautiful in all of Africa. With a mild climate, fertile land, and plenty of fishing; it is a desirable place to live. Situated in a promontory on the lake, surrounded by water on 3 sides, Mbita is a small town approximately 9 hours (by car) west of Nairobi. It sits on a peninsula in Lake Victoria with several islands close by. 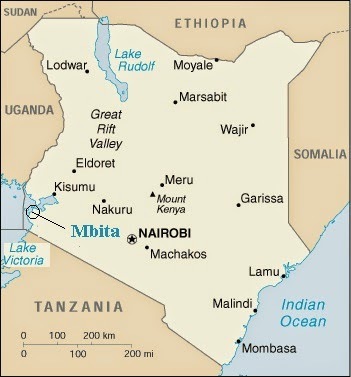 Mbita is only about 50 miles south of the equator and about 3,500 feet above sea level. Because of this, the climate is moderately hot and seldom varies more than 30 degrees throughout the year. During the day, it usually reaches between 75-95 degrees F and at night it “cools” to 65-75 degrees F. The hottest months are from December-March, but most Westerners find it hot during the day no matter when they are in Mbita. There are two rainy seasons; the long rains are from March to May and the short rains are from October-December. Rainy season typically consists of intermittent rain showers during the evening times and generally doesn’t affect work unless there is a lot of rain which makes travel difficult on dirt roads. The population of Mbita and the surrounding islands is estimated around 50,000 with much of the population living in outlying areas. It is almost exclusively inhabited by the Luo tribe, which is the third largest tribe in Kenya, numbering around 3 million strong. Because of their close proximity to the Lake, the tribe quickly adapted to fishing as a means of survival. 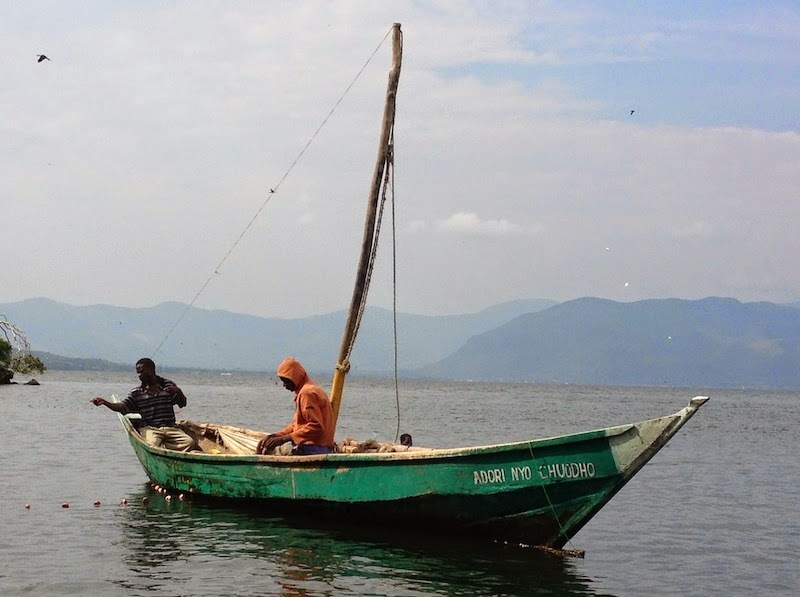 They are the pre-eminent fishermen in Kenya, using gill nets and long-line fishing to catch Tilapia and Nile Perch. They also still use nets and basket traps to catch the tiny Omena fish, similar to a sardine, that are sold in large quantities. Most of the fishermen use hollowed-out log canoes or plank-built craft of considerable complexity and size. Every night thousands of kerosene lanterns attached to the canoes dot the horizon of the lake. It is called “the city on the lake.” They use the light to attract the lake flies close to the water, which then attracts the smaller fish to the surface and into their nets. Because it has one of the poorest infrastructures in the country, Mbita Sub-County has been one of the hardest hit in poverty and unemployment; forty percent of the residents lack basic home needs like food, shelter, and security. With only dirt roads that are virtually impassable during rainy season and dangerously dusty during droughts, the district has little electricity. Bad roads in this district have stifled the growth of the fishing industry and agricultural production. Banks and other industries have refused to start doing business in the district unless there are paved roads. In 2010, the government began construction on the first paved road in the district. It will connect Mbita to Homa Bay and the rest of the country. The new road will be completed soon. There is also ferry access connecting Mbita to Luanda Kotieno. It covers a short distance between the two peninsulas. 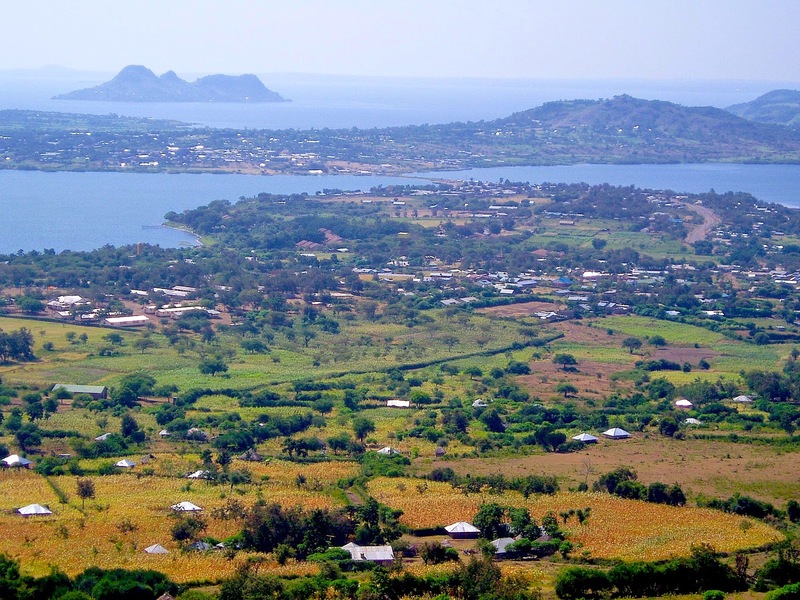 With a 45 minute ferry ride and then 1 ½ hours driving on good roads, residents from Mbita can reach Kisumu, the 3rd largest city in Kenya and the Regional Headquarters. The construction of the new road and the ferry access have attracted some banks and other businesses to open up in this rural area. In Mbita Sub-County there is also insufficient and unpredictable rainfall, which negatively impacts crops, livestock, and fish on which these people depend for food and commerce. Another factor contributing to poverty in this area is that 46% of the population is between the ages of 0-14 and 3.6% of the population is over the age of 65. The people are not able to save money because the economically active population is supporting all the dependents. Half of the population is trying to support the other half, but even many of the people that are at a working age are not able to find employment. The few with a reliable income are asked to support their entire extended families; buying food, paying school fees, and other necessities. Even the thriving fishing business is contributing to the poverty. Every morning when the fishermen return to the beaches, they are paid cash for the fish. Because many don’t know how to save their money or plan for their future, they lavishly spend their disposable income on alcohol or on widows and young girls who perform sexual favors for them. So even though these fishermen are earning a healthy income, it is being consumed on a daily basis.